So precious and dear are our littlest lambs. This tender addition to the Precious Moments Birthday Train celebrates all that is pure and gentle about a 1-year-old boy or girl. 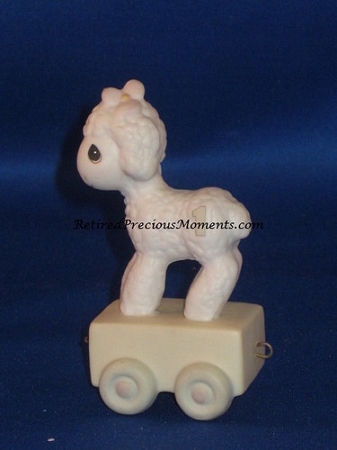 It attaches to other figurines in the Birthday Train series, celebrating birth to age 16. Resin. 3 1/4” H.